Hi! 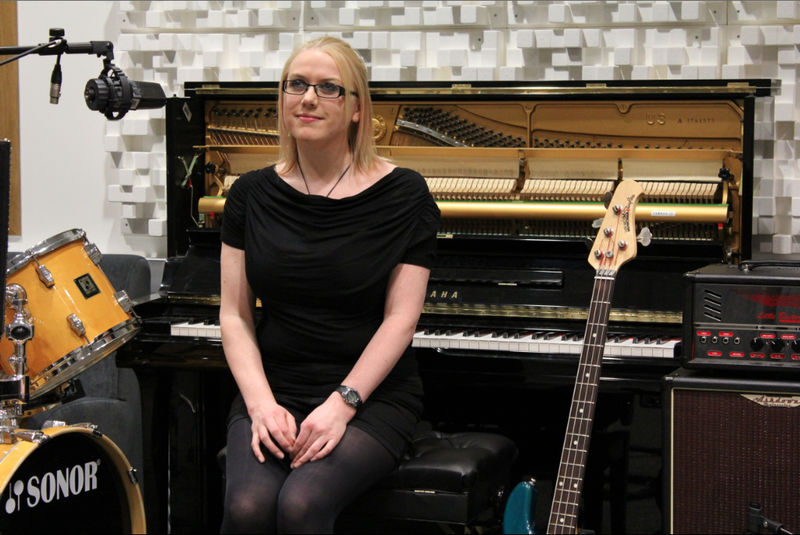 My name is Stephanie and I am a music research postgraduate student at Dundalk IT researching music production. I am deeply passionate about music. I became interested in music in my early teens and studied as far as Grade 6 in violin, during this time I picked up guitar and any instruments I could get my hands on. In my later teenage years I started exploring popular music and discovered the exciting world of rock and roll. I have played lead guitar in various bands, my most notable bands include Black Daisy (04-09), Ali (02-04) and Aztaria (10-11). I became seriously interested in audio production in 2007 when I got my hands on an iBook G4 laptop and discovered the magic of GarageBand, recording demos for Black Daisy and dabbling with electronic music. This led me to Ballyfermot College of Further Education (Dublin, IE) in 2009 where I studied Music Production for 2 years. I graduated with a distinction award. 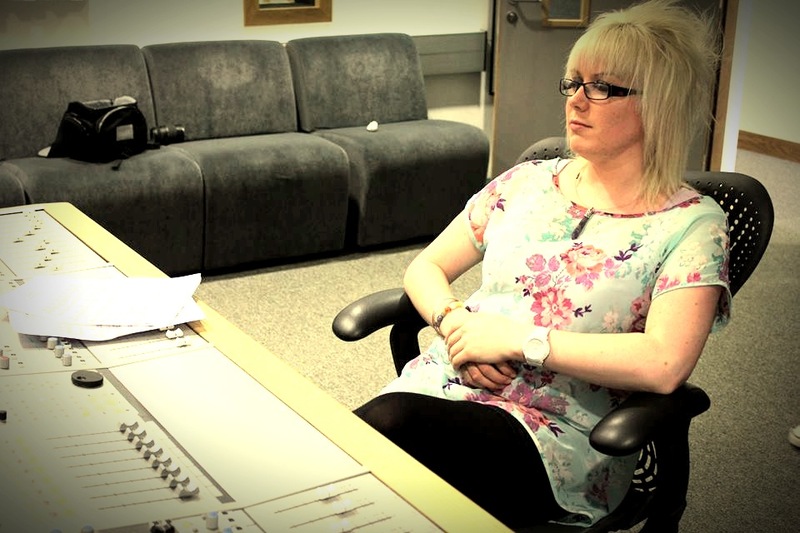 In 2011 I started studying Music and Audio Production in Dundalk Institute of Technology. I completed my honours degree in 2015 with a first class award. I really enjoyed my undergraduate student life in DkIT- I met lots of wonderful people and getting involved with so many projects made it a truly inspiring time. Behind the desk in the recording studio, helping artists express themselves is where I’m happiest but I love the excitement of live music too- assisting with the smooth running of gigs or working front of house. I’ve already had the pleasure of working with amazing music producers, sound engineers and artists. I continue to compose, record and produce my own material, my main interests being traditional Irish, rock, acoustic, pop, dance and chilled electronic. I am also an active musician and play session instruments when required. I would describe myself as a creative, hard-working, easy-going, cheerful, open-minded, obliging person who’s deeply passionate about making wonderful music with artists and sound engineers. I joined Drogheda’s Augustinian Gospel Choir, directed by Gerry Simpson, in 2013 as bassist of the backup band. I enjoyed music with the choir so much, it wasn’t long until I joined permanently, finding my voice in the alto section. My violin also makd special appearances for selected pieces of music. We performed every month in the Augustinian church for Sunday Mass as well as extra Masses and special concerts and festivals in Drogheda for various causes and events. 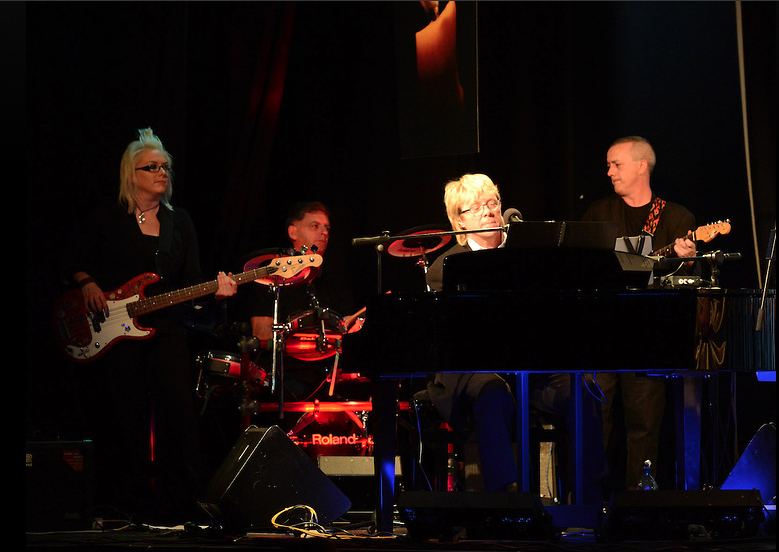 Being a part of such a large group of musicians and singers gave me great musical fulfilment and a sense of belonging with the added excitement of being a part of something greater than myself alone. Shock Sorrow is the thoughtful, acoustic side project of myself and Keith Caffrey. We grew up 4 miles apart and knew of each other from going to the local church but never actually met until summer 2009 when we were introduced at a Metallica concert in Dublin! We had an instant connection and mutual respect. We got to know each other through a rock covers band I was playing in and begged Keith to front for a few months. Writing new songs, recording demos in my home studio and gigging at the finest singer-songwriter showcase nights in Drogheda, Dundalk, Dublin and Limerick, we became a two-pice band that required knowledge, thought, time, intellectual, spiritual and emotional investment. Unique, creative and free spirited, Shock Sorrow blends thoughtful vocal melodies with harmonic-rich guitars. Shock Sorrow continued to perform live until 2012. Myself and Keith continued to make music together as a song-writing team, collaborating on various styles of music until 2014. 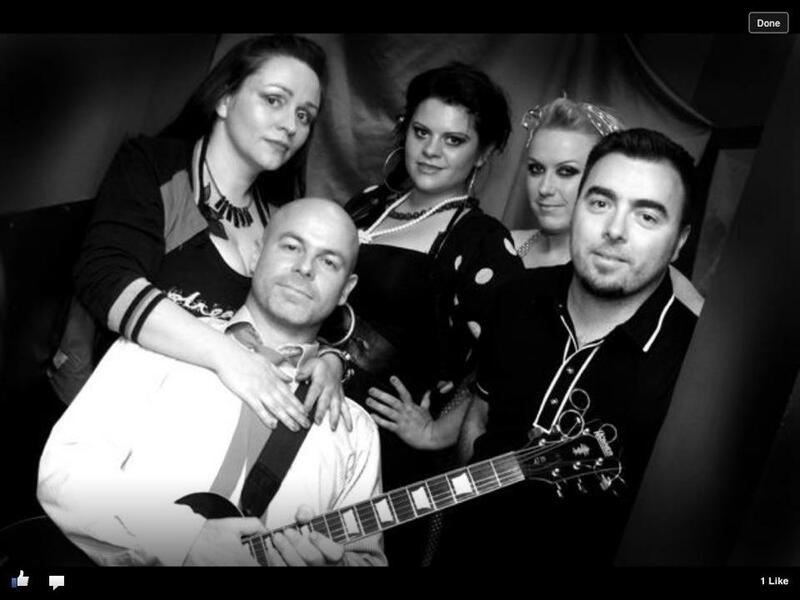 Full Moon Boogie Band- the name says it all – bringing you home to the land of rockabilly and rock and roll with a twist and lots of style! We were a five piece band made up of passionate, energetic and professional musicians, playing songs from Elvis to Rihanna, Wanda Jackson to Beyoncé, all with a full moon rock n roll flavour. Our show was fantastic entertainment for any event, from weddings to corporate events, we brought fun and a bop shoo wop to all events. We came with our own swingin, jivin’ and very alluring Full Moon dancers to add that extra sparkle to the shows. 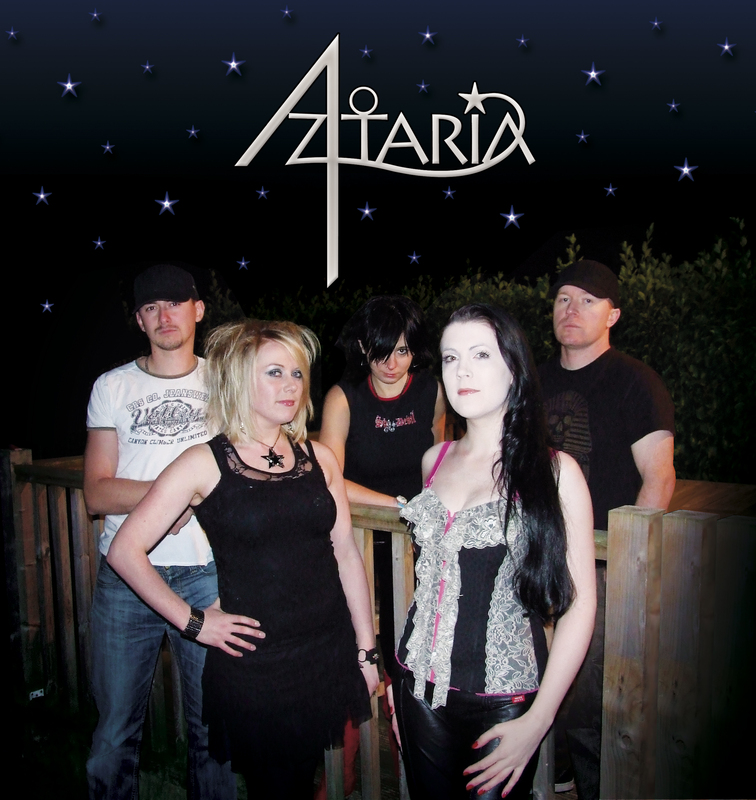 I played lead guitar with Aztaria, an original rock band I formed with Sandra Larkin from 2010-2011. We had many great adventures but due to exhaustion I parted ways from the band. 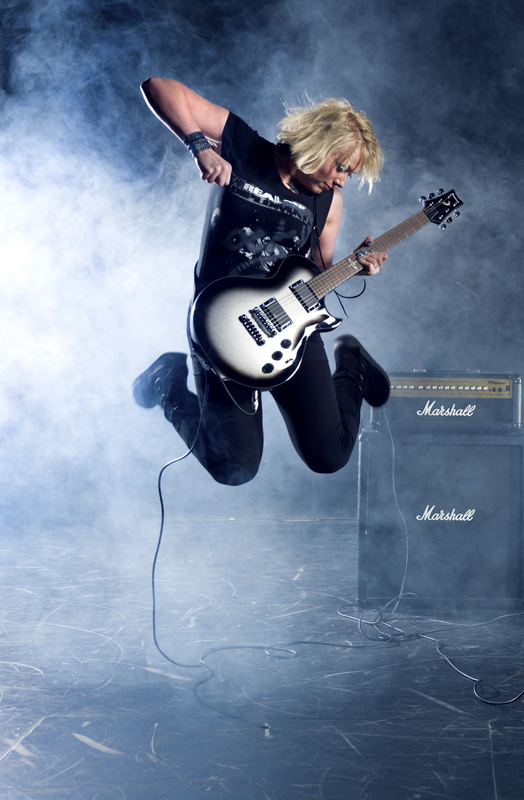 I was lead guitarist, co-founder and co-songwriter of Irish all female rock band Black Daisy from January 2004 until February 2009. Myself and Ms Halvey founded the band in 2004, recording home demos in my bedroom, recorded professionally with various session musicians in various studios in Dublin, gigged throughout the country with various short-term musicians, shot a music video in 2006 for “Take You Over” a track which we collaborated on with Chris O’ Brien and Graham Murphy, with director Jonathan Joly in the Temple Bar Music Centre, Dublin and even appeared in the short film “Scratch” inspired by the story of Black Daisy, using our professional demos as the soundtrack. In late 2007 we settled on the strongest line-up for the band which included Nicole Billings (rhythm guitar) and Asta Mileriene (drums). Our notable achievements included the release of the “Disturbing New Fashion E.P” (2008), these tracks were written by myself and Ms Halvey, performed and co-produced by myself, Ms Halvey, Ms Billings and Ms Mileriene. The E.P was engineered, mixed and produced by Stephen Brett. 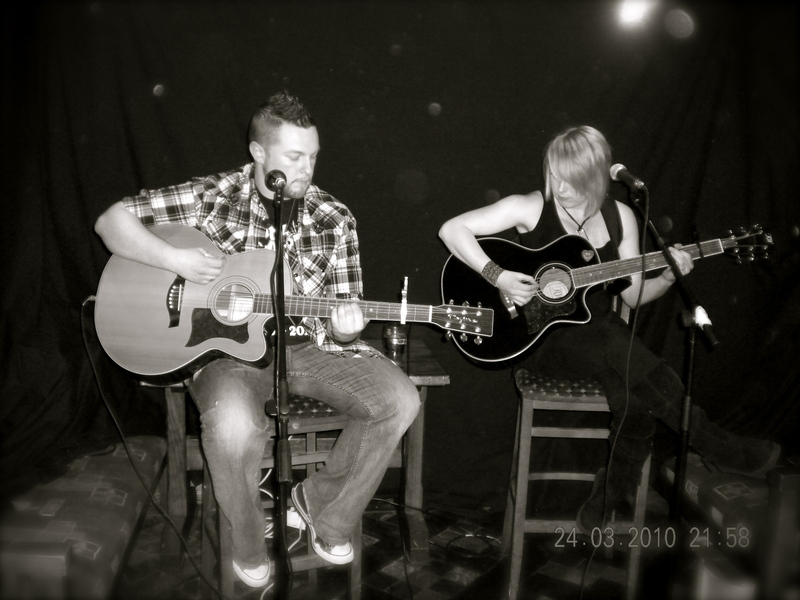 Black Daisy also appeared on the final series of Irish talent show “You’re A Star” in 2008, surviving auditions, boot camp and two live heats in the Helix, Dubin, making it down to the top 10 unsigned Irish acts in the show. My journey ended with the band ended in February 2009 after being asked to step aside from the band to allow them to perform for the Eurovision Song Contest. Ali was a band I auditioned for in the summer of 2002 following an article in a national newspaper. Kim Collins (bass, acoustic guitar, vocals) and Derbhal Leavy (drums and vocals) were seeking the female equivalent of Bono and the female equivalent of the Edge to complete their band line-up, the first female answer to U2. I won the lead guitar audition by playing Metallica’s “The Four Horsemen” on my own. Ms Halvey won the lead vocal audition, it was through this band that we met. Ali rehearsed very regularly. To allow this myself and Ms Leavy gave up our places in college and Ms Halvey moved from Limerick to Dublin. Myself and Ms Collins commuted together to Dublin. We all took part-time jobs but enjoyed our time together so much it didn’t matter! We recorded professional demos and gigged throughout Ireland. Our most notable gig was in 2003 when we performed at a Christmas party for 200 inmates at Mountjoy Prison which was covered by Dublin media. We were the first and only band to have performed in the prison! We also appeared on MTV’s “Breaking Point” show, a programme which auditioned unsigned bands in the U.K. Again we were the only Irish band to be featured on the show. 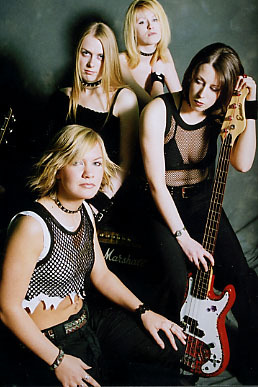 The band never officially broke up as it continued to form Black Daisy in 2004. 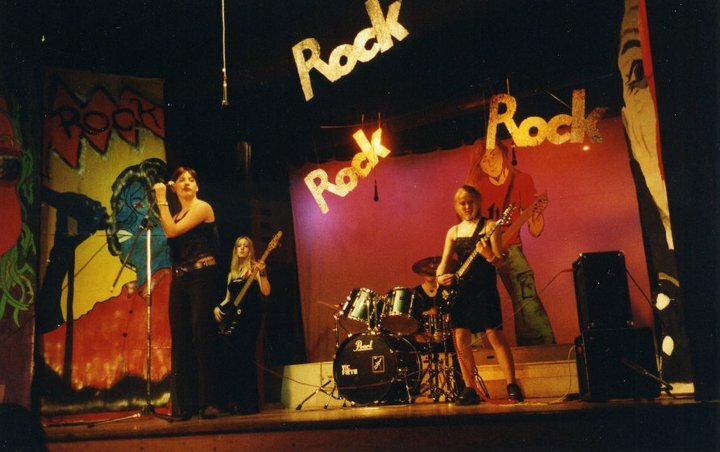 The Psycho Barbies were my first band, an all female teenage rock band (mostly covers but a few originals too), we played for charity events for our school (Our Lady’s College, Greenhills) and in Drogheda and Dundalk. We met in school and hung out together. We even rehearsed during lunch break in the school music room for upcoming gigs! We were the first band ever in our school. It was a highly enjoyable experience and one I remember with fond memories.